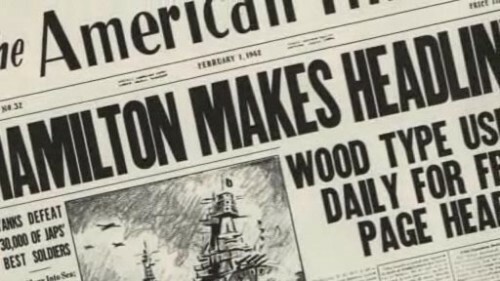 Woodtyper » “Making Headlines” documentary on Hamilton Mfg. 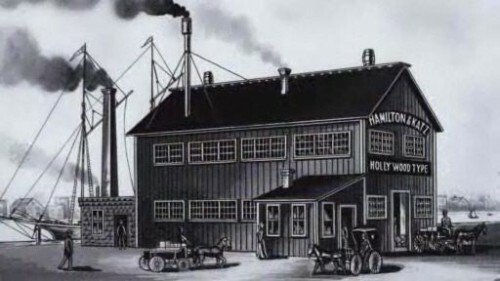 Co.
“Making Headlines” documentary on Hamilton Mfg. 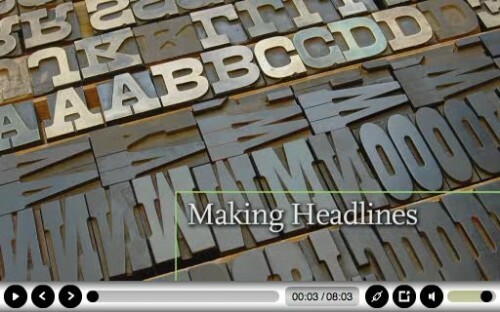 Co.
Wisconsin Public Television recently produced a short (8 minutes) documentary on the Hamilton wood type manufacturing company, titled Making Headlines , for the Two Rivers / Manitowoc installment of its Hometown Stories series. 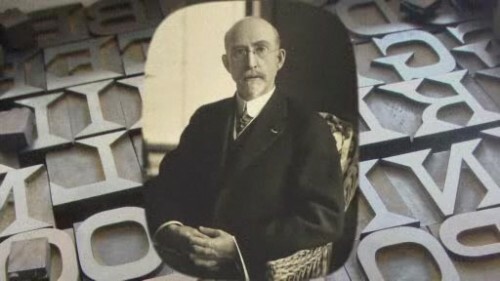 The documentary presents a succinct history of the empire that James Edward Hamilton started with wood type in Two Rivers, Wisconsin. Included are interviews with David Shields, Greg Corrigan, and Bill Moran. Also, I couldn’t help but notice many of my own wood type photos from Flickr used to illustrate the production. Naturally, I’m glad to have been able to help the cause. 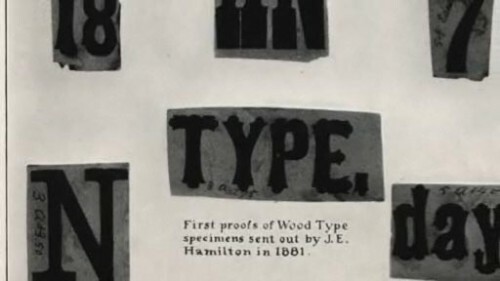 The video acts as a good primer for the feature-length documentary, Typeface , which focuses more on the modern Hamilton Wood Type & Printing Museum (as opposed to the original Hamilton Manufacturing Company). It would make for a great DVD bonus feature. The documentary can be seen on this page by clicking the Making Headlines thumbnail from the listing of clips. It is also available in DVD format from the Wisconsin Public Television Store. One comment on “Making Headlines” documentary on Hamilton Mfg. Co. .
Great short film by Wisconsin Public Television. 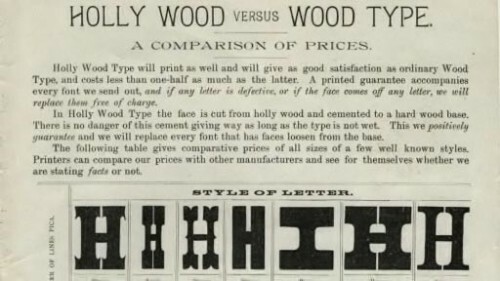 The Victorian style wood type shown from 04:44 – 04:51 is particularly interesting. The combination of a sans with ornament reminds me of the contemporary work of Si Scott.